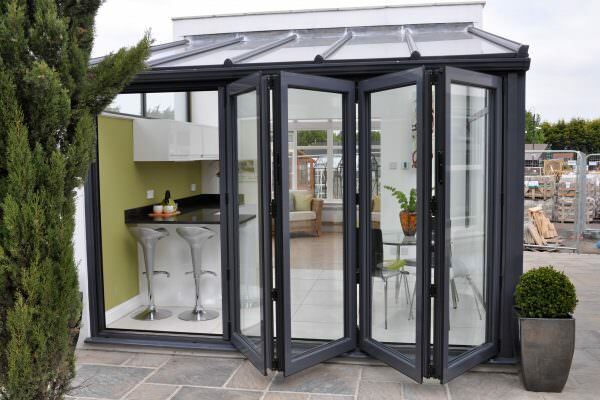 Aluminium bi-fold doors are fast becoming one of the UK’s most popular home improvements. 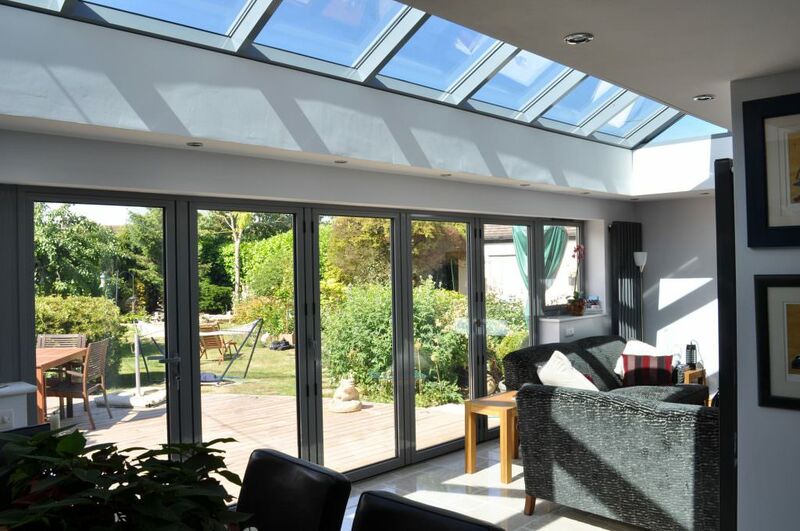 We are exploring the reasons behind this explosion in property enhancements in this blog, looking at how aluminium bi-fold doors are a seamless connection to home improvement heaven. Read on and see how these stunning sliding doors are benefiting homeowners across the UK and see for yourself why they are such a sought after home improvement. Aluminium doors create a whole new lifestyle experience and are simply an unbelievably impressive home improvement option. 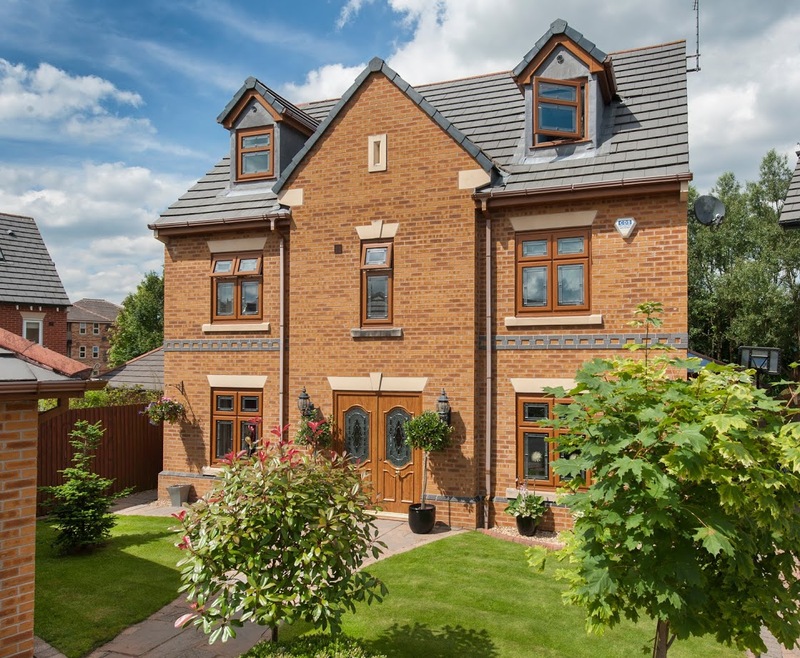 Their striking aesthetics, exceptional performance and long-term operation make them the ultimate home improvement in the UK. They will prove themselves to be a stunning addition to any home. 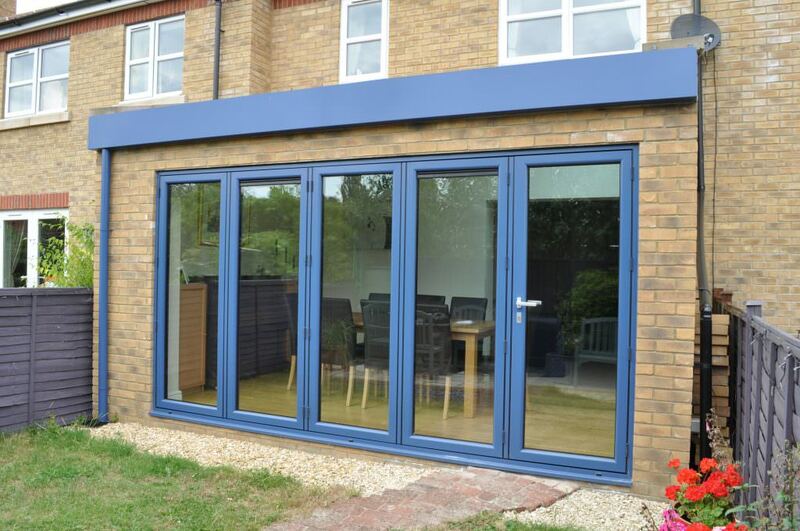 Our aluminium bi-fold doors are manufactured by the leading brand Smart Architectural Aluminium, and they feature beautiful slimline profiles that enhance their aesthetic, as well as ultra-low threshold options for maximum accessibility. Choosing aluminium bi-fold doors from Sternfenster enables you to achieve the perfect, seamless entrance that you desire to your outside space. 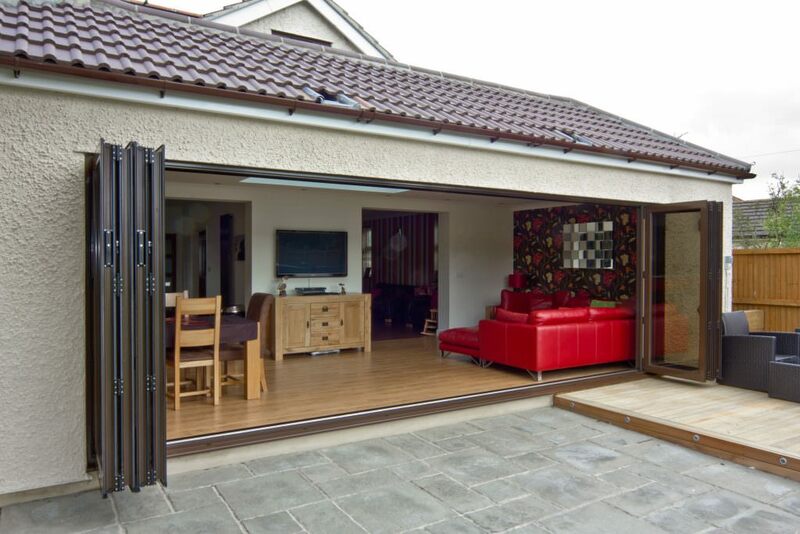 Whether your kitchen leads out onto a decked area, or your living room opens onto a patio, these aluminium folding doors will maximise its potential. They are innovatively designed to create a completely seamless connection between your indoor and outdoor living spaces. You will have one spacious area that you can enjoy, giving you new lifestyle opportunities. Social gatherings, family parties, or even simply relaxing with a good book, you will benefit from easy access that creates one superb stylish space. Aluminium bi-fold doors from Sternfenster are also a great choice for anyone who needs complete accessibility to their outside space. The fantastic thresholds we mentioned above are also superbly hard wearing and robust, able to take the strain of constant use. Their ultra-low height makes them ideal for anyone with mobility difficulties, and they are perfect for wheelchair users, especially as we also offer sturdy and robust ramps that fit our thresholds exactly, creating a safe and practical entrance. Not only will it be incredibly easy for you to access your outside space, it will also be a long term entrance that you can use day after day with no maintenance. When you choose aluminium bi-fold doors, you have a comprehensive array of colour finishes available to you, allowing you to personalise the look of your new door perfectly. The tones and shades of countless colours enable you to achieve a traditional aesthetic or even a contemporary look from the same door style! Every colour in this vast range is hard wearing and long lasting. The finish of your door will never fade or blister, no matter how long it is in place. Your new aluminium bi-fold doors will look simply beautiful year after year. On top of this, you can also choose the perfect option from a range of panel configurations. Your new door can be fabricated with the exact number of panels that you need, meaning that they can suit almost any space! As for the configuration options, you can choose to open them from the left or the right, or anywhere in between, allowing you to have the ideal opening for your planned use. Improve the amount of natural light coming into your home with optional sidelights, or opt for integral blinds in our double glazed folding doors for stylish and efficient performance. There are so many choices available to you when it comes to the style of your new aluminium bi-fold doors that we would recommend you speaking to your local installer for advice and guidance! With any home improvements, it is important that you get the very best performance with little effort. There is nothing worse than costly and time-consuming double glazing maintenance for controlling your free time. 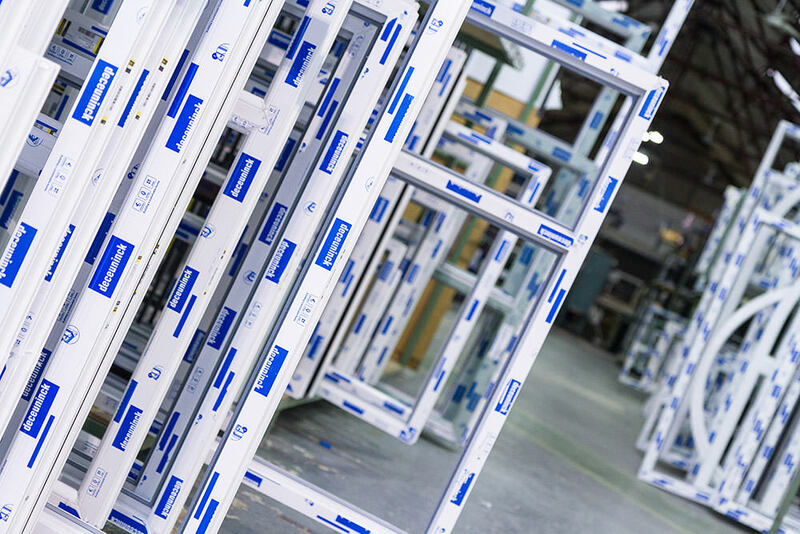 Our aluminium bi-fold doors are manufactured to the highest standards. They are from the Visofold 1000 range from Smarts, which has brilliantly robust stainless steel rollers to ensure that not only do you achieve smooth operation, you also benefit from a mechanism that upholds exceptional standards of durability. Choosing aluminium bi-fold doors gives you access to maintenance-free double glazing, as all you will ever need to do to keep these doors in perfect condition is give them the occasional clean. It is as simple as that! The British weather is renowned for its changeability and our winter storms in the UK can be very intense. Of course, this means that you need double glazing capable of protecting your home from a wide variety of weather. Our aluminium bi-fold doors offer a strong and sturdy entrance which will withstand gale force winds and torrential rain. They are even fitted with the very latest weatherproofing technology, such as our high quality EDPM rubber gaskets and weather brushes. No matter what the weather does, your new aluminium bi-fold doors will not be affected. They will not blister or fade in the strong summer sun, and they will not warp and rot under the pressure of winter storms. There will never be any leaks or draughts. Of course, all of this simply adds up to the quality performance you would expect from a Sternfenster product. Keeping warm in the winter has never been so easy. All modern double glazing has to achieve a Windows Energy Rating of C to ensure it meets Building Regulations requirements, however, our aluminium bi-fold doors have been intelligently engineered to exceed this standard. When you choose our aluminium bi-fold doors for your home improvements, you will benefit from impressively low U-values of up to 1.4 W/m²K with triple glazing, or 1.8 W/m²K with double glazing. U-values are the ultimate guideline to thermal performance, and the lower they are, the better the energy efficiency. Our aluminium bi-fold doors are constructed with the Smarts innovative thermal polyamide barrier, which maximises the thermal performance of the door. This state of the art design stops cold air from entering your property and warmth from getting out. You will feel the benefits of this enhanced energy efficiency almost immediately, but where you will really notice the difference is on your energy bills. You will need to use less heating to keep your home warm with our aluminium bi-fold doors, and because you are using less heating, your energy bills will be lowered! In the summer, even on rainy days when it’s humid outside, you can be kept cool in your home with our optional head vents which allow ventilation into your home. Keeping your home secure is at the forefront of any home improvement decision. With our aluminium bi-fold doors, you can have complete peace of mind, knowing that these doors are designed to protect your property from intruders. Of course, there is the inherent strength of the aluminium material, which makes these doors incredibly tough and virtually impossible to break, but that’s not all there is to security features with our aluminium bi-fold doors. You can choose to have the glass panels internally beaded so that they can’t be removed from the outside, cutting out yet another entrance opportunity. 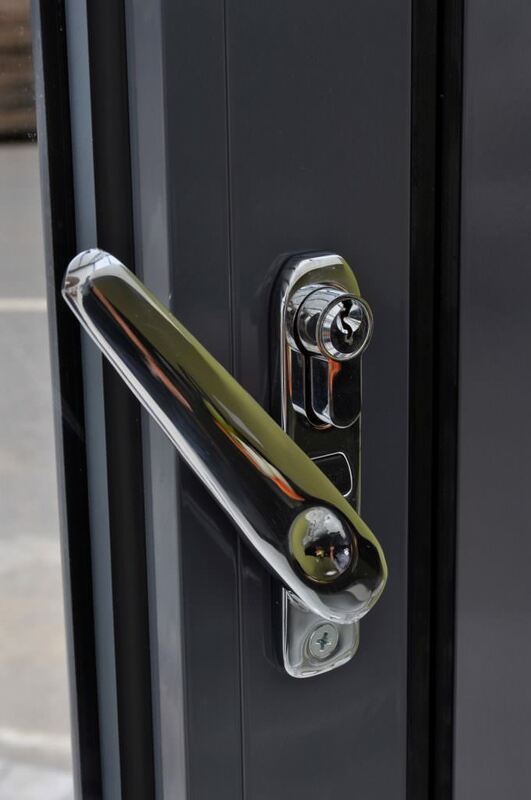 Where the most impressive features lie however, is in our innovative locking system. Our aluminium bi-fold doors are constructed to include shootbolt locking on the floating mullions; this means that each panel can be solidly connected. In addition to this, we fit high security hook bolt locks, and one piece keeps on main opening sashes. With state of the art locking mechanisms like these, you can see just how well your home and family will be protected by our aluminium folding doors. Wherever you have a need for an opening in your home, our aluminium folding doors can be adapted to give you the perfect, most stylish entrance. Whether you are in need of aluminium bi-fold doors for your conservatory, your extension or your home, our aluminium bi-fold doors make a wonderful choice. As we’ve discussed, these stunning doors are so impressive in so many ways. They create an outstanding visual impact, opening up your home to the world outside and enabling you to enjoy your living space in new and exciting ways. Our aluminium bi-fold doors give a luxury appearance to your home, at a cost effective price, making them the ideal home improvement wherever you are in the UK. Having read all the amazing benefits and features that Sternfenster aluminium bi-fold doors can offer your home and lifestyle, we are sure that you are ready to find out more. Here at Sternfenster, we supply these quality aluminium bi-fold doors to trusted and experienced installers across the UK. You can find a Sternfenster approved aluminium bi-fold doors installer local to you by using our efficient and easy Sternfenster Approved Installer location system. Simply enter your postcode and we will provide you with the details of aluminium bi-fold doors installers near you wherever you are in the UK. Try it now and start the journey to your home improvement heaven. Alternatively, you can get in touch with us via our online enquiry form should you require more information.